Granite is the most preferred choice in the kitchen counter-tops for a reason. 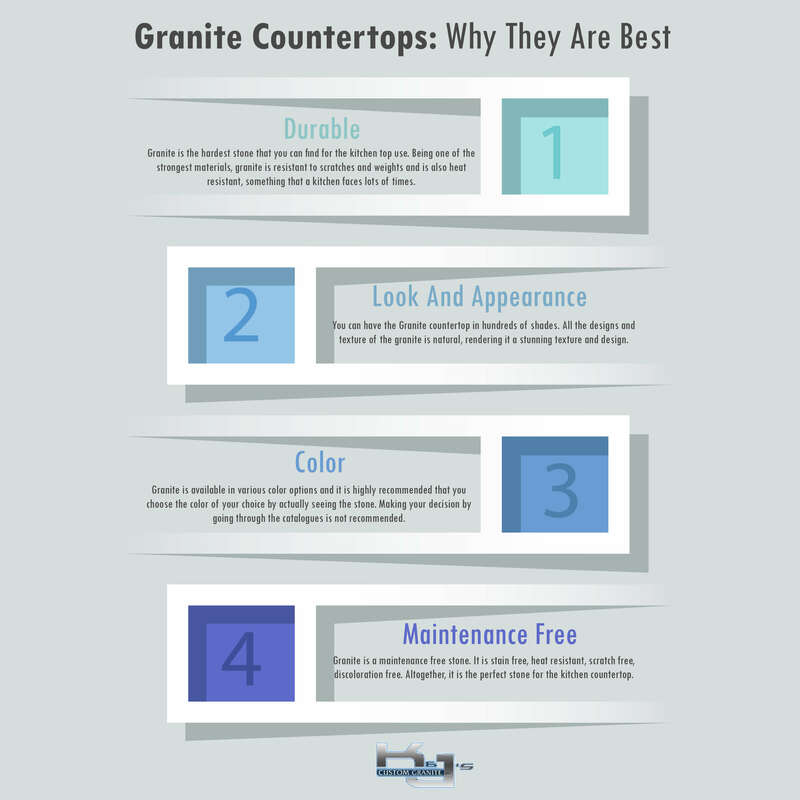 According to the recent survey, the granite countertops installation Edmonton stated that almost 85% of the kitchen tops are adorned with Granites. Though, it costs more than the cheaper alternatives that you have in the market, but the granite has its own advantage that puts it far ahead of the competition. Be it color, finish, designs and everything, Granite looks far classier than the other options in the market. So what makes Granite so good? Well here is how! Granite is the hardest stone that you can find for the kitchen top use. Being one of the strongest materials, granite is resistant to scratches and weights and is also heat resistant, something that a kitchen faces lots of times. If properly installed, the granite countertop will last a lifetime. You have to make sure that the top it is being installed on takes the weight of the granite slab as it’s quite a heavy stone. You need to get it installed by the experts so that there is no air pocket between the surface and the granite slab. If installed by the professional hands, the granite will last you for decades. Being a very heavy stone, make sure that is transported with all the safety precautions. Before installing the granite on the countertop, the size, and the measurements, all should be taken precisely to ensure it fits exactly to the dimensions. If the installation is not right, it may result in cracks and may damage the cabinets. You can have the Granite countertop in hundreds of shades. All the designs and texture of the granite is natural, rendering it a stunning texture and design. Edmonton granite countertops are available in various combinations. You can further add up the cues by the polishing options to choose from. You can have in shapes lie Bevel, Ogee, Waterfall or Bull nose. It can be customized in various ways to suit your décor. Granite is available in various color options and it is highly recommended that you choose the color of your choice by actually seeing the stone. Making your decision by going through the catalogues is not recommended. If you want to install granite countertops matching the rest of the color décor in the house, always go and see the options in actual. Granite is a maintenance free stone. It is stain free, heat resistant, scratch free, discoloration free. Altogether, it is the perfect stone for the kitchen countertop. You don’t have to worry much about the care of the granite after installing it on the counter. But you have to just make sure that you are not using any acid or alkaline based cleaning products to clean it. Just wiping it off with general detergent would be enough to give it back the sparkling shine.